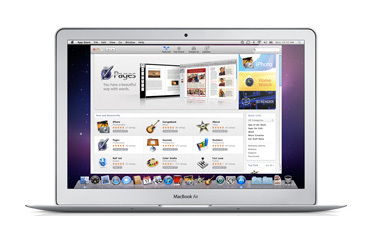 Apple today announced that their Mac App Store will open on January 6, 2011 and will be available in 90 countries. It will allow you to purchase, download and install apps in “just one click” and start using them immediately. The Mac App Store works exactly like App Store on iPhone, iPod touch and iPad. You will be able to run all purchased apps on all of your personal Macs and updates them directly through the Mac App Store, make it easy to keep all of your apps up to date. Also will allow you browse new app, find out what’s hot, view staff favorites, search categories and read customer ratings and reviews. The Mac App Store is available to Mac OS X Snow Leopard users as a free download through Software Update. The Mac developers are able to set their price for their apps, keep 70 percent of the sales revenue, are not charged for free apps and do not have to pay hosting, marketing or credit card fees. More for them here.